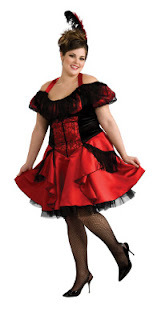 I'd like to introduce you to one of my fabulous Blissdom Canada sponsors this year- Halloween Costumes Canada! There is going to be a big costume party at Blissdom Canada and Halloween Costumes Canada graciously sent me a free costume to wear. 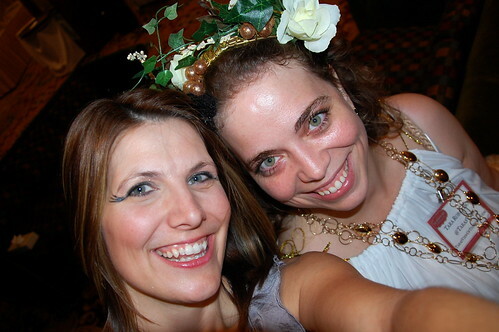 The costume party was a ton of fun at last year's Blissdom Canada and I am sure it will be just as fun this year! Canada's largest online Costume Store!! 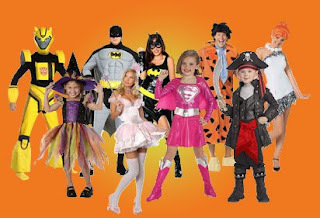 We are your one stop shop for 2011 Halloween Costumes. Same day shipping out of Ottawa, Ontario. No need to worry about duty, extra shipping fees or surprise charges. Thank you for choosing Canadian Costumes and please let us know if you have any questions. Have a great party!!! There are a ton of costumes to choose from on their site- costumes for everyone in the whole family from the smallest to tallest. 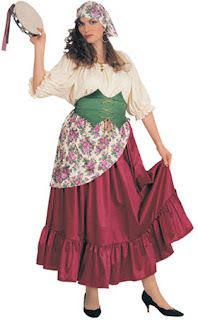 I was thankful that they carry a good variety of plus-size costumes since those aren't exactly easy to find. I'm not going to tell you which costume I chose yet but I will tell you that I am happy with it! It was very easy to choose a costume and they shipped it to me right away. Halloween is coming so don't forget to choose your perfect costume today! LOVED your costume last year, can't wait to see what you wear this time around!! ...ummm, I guess that means I should start thinking costumes?? Eeekkkk!! !